Flush interval: time between each flush of the tracker to the server. If this is set to -1, it will be necessary to call T().RequestFlush() to send traces to the server. Storage type: can be net, to send traces to a server, o local, to store them locally. Trace format: the format of the traces. Can be csv, json or xapi. 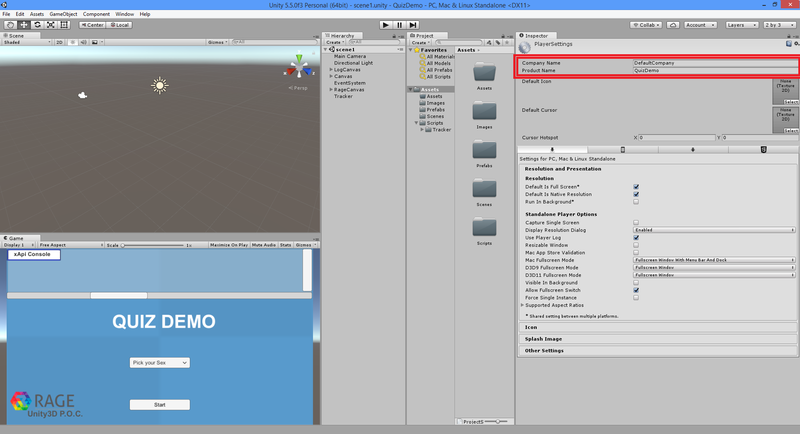 Debug: Enable to see tracker messages in the Unity console. 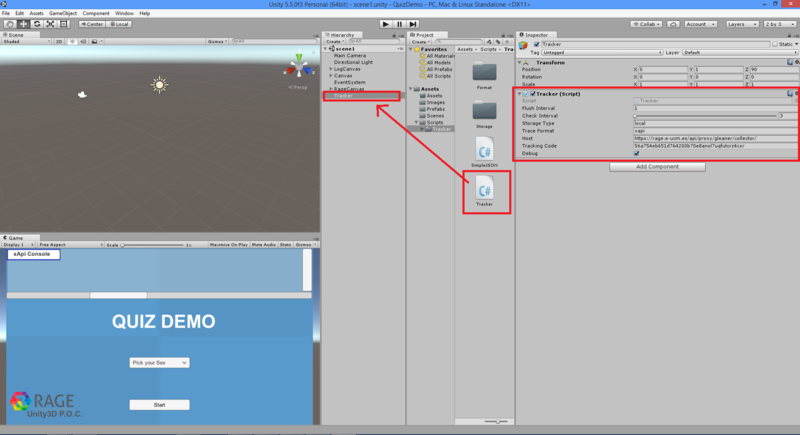 Unity tracker has been unified with the DotNET tracker in a project called csharp tracker. This project (Unity tracker) contains a wrapper and a prefab that make easier the usage of the tracker, in a similar way as it was in the previous versions of this project. If the features of this wrapper don’t fit your needs, you can develop your own wrapper by directly using the csharp-tracker. The API has changed slightly, but the previous API still is supported (as deprecated) in the newest version of the tracker. If a method is deprecated, the new method that support that call will be shown in the deprecated comment. Configurable flush intervals (via T().SetFlushInterval(); use -1 to entirely avoid auto-flush). If flushing fails, for example due to transient network problems, the tracker will periodically attempt to re-send the data. Note that in order to track other type of user interactions it is required to perform a previous analysis to identify the most suitable game objects (Completable, Accessible, Alternative, TrackedGameObject) for the given case. For instance, in order to track conversations alternatives are the best choice.